Hyderabad(PTI): A special anti-terror court today acquitted Hindutva preacher Swami Aseemanand and four others in the Mecca Masjid blast case, holding that the prosecution failed to prove “even a single allegation” against them. Barely hours after pronouncing the judgement, in a dramatic development, K Ravinder Reddy, the special judge for NIA cases, tendered his resignation, citing “personal” reasons. Reddy said his resignation had nothing to do with today’s judgement, according to a senior judicial officer. Meanwhile, AIMIM Chief and Hyderabad MP Asaduddin Owaisi tweeted “Judge who gave acquittal to all accused in Mecca Masjid Blast RESIGNS very intriguing and I am surprised with the Lordship decision”. 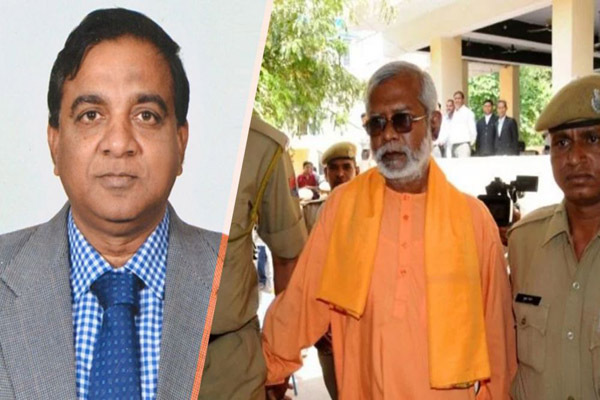 “Prosecution (NIA) could not prove even a single allegation against any of the accused and all of them stand acquitted,” J P Sharma, the counsel for Assemanand, told reporters after the verdict was pronounced by special judge for NIA cases K Ravinder Reddy. The media was not allowed in the courtroom where the judgement was pronounced in the high-profile case, which was dubbed by the then UPA government as one of “Hindu terror”, a term that riled saffron organisations, including the BJP, no end. “He has sent the resignation letter to MSJ…he has cited personal grounds and it has nothing to do with today’s verdict in the Mecca Masjid blast case,” the senior judicial officer told PTI, speaking on condition of anonymity. Reddy, had apparently taken the decision to resign sometimes back itself, the officer said. Soon after the verdict, The NIA had come in for attack by oppostion parties, including the Congress and AIMIM. Though there were 10 accused in the case, only these five were tried. Two other accused — Sandeep V Dange and Ramchandra Kalsangra — are absconding, while Sunil Joshi was murdered. Investigation is continuing against two others. Buoyed by the verdict, the BJP claimed that it had “exposed” the Congress’s “appeasement politics” while the latter raised questions about the functioning of the NIA. BJP spokesperson Sambit Patra alleged in New Delhi that the Congress has long “defamed” Hindus for votes and demanded that party president Rahul Gandhi and his predecessor Sonia Gandhi apologise for using terms like “saffron terror” and “Hindu terror”. Patra said people will teach the Congress “a lesson” in the Karnataka Assembly polls as in the 2014 Lok Sabha elections when the party was reduced to 44 seats. Owaisi, in an earlier tweet, claimed that the NIA did not properly pursue the case, leading to the acquittal of the accused. According to Aseemanand’s counsel Sharma, the court after examining documents and material placed on record found that the charges did not stick. “This entire case was based on confessional statement of Swami Aseemanand. Right from beginning we had been placing before the court that this is not the statement of confession. “The defence argued that the so-called confessional statement was forced from Swami Aseemanand in order to create a theory of ‘Bhagwa Atankwad’ (safron terror),” he said. The court, Sharma said, held that the confessional statement of Aseemanand was not voluntary. “CBI had got the statement of Swami Aseemanand recorded in Delhi while he was in police custody during December 2010,” he said. Sharma claimed the investigating officer of the CBI had “intentionally” implicated the accused to sully the image of ‘Sant Samaj’ (the fraternity of seers) and the RSS, to which those acquitted belonged at some point of time. He said nothing incriminating was recovered from any of the accused, and that there was no corroboration to the “confessional” statement of Aseemanand.